I guess it’s debatable whether or not The Curse of the Cat People can truly be called a horror film. While it does have elements of the horror genre, The Curse of the Cat People is ultimately both a coming-of-age story and a plea for adults to allow their children to be children. It’s all so heartfelt and so wonderfully performed by Ann Carter, Kent Smith, Jane Randolph, Elizabeth Russell, and Simone Simon that I couldn’t help but cry at the end of the film. 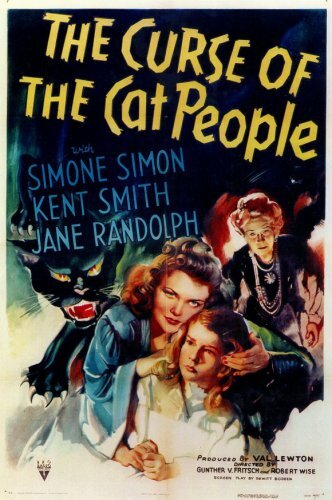 The Curse of the Cat People is a great film to watch this month or any other month!